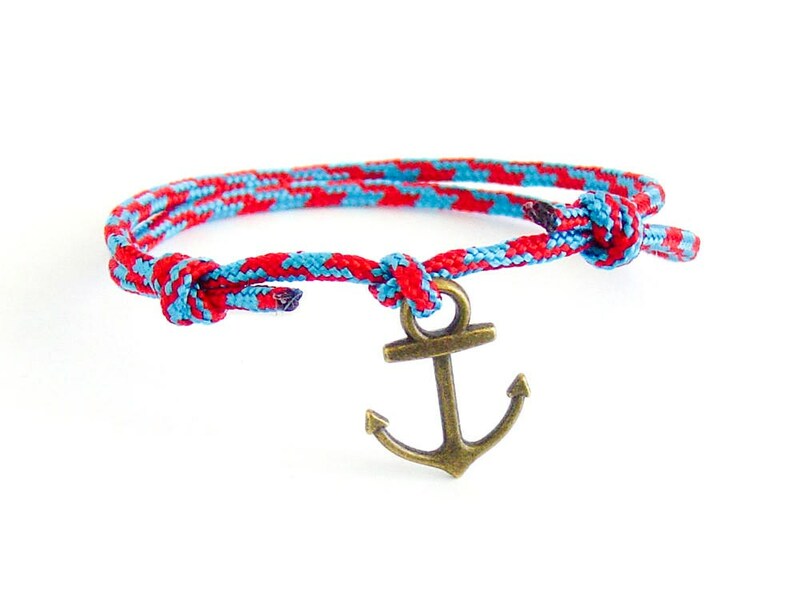 This sailor bracelet is a handmade cord bracelet with a sailor knot. 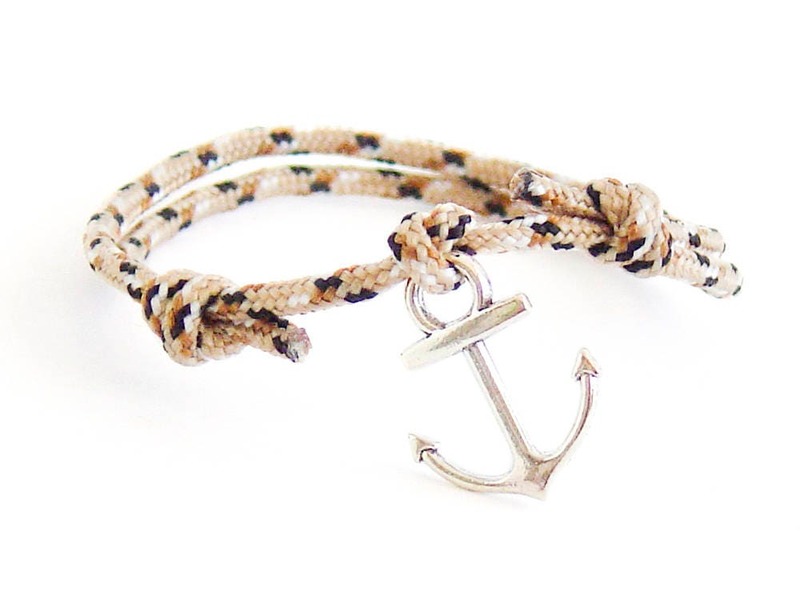 Bracelet is nice for sailor gifts, for navy gifts for him and for her. 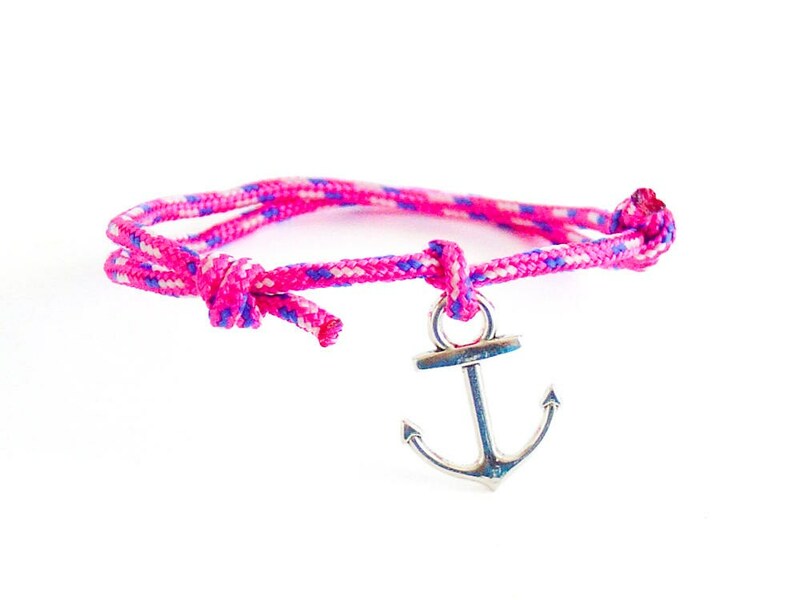 You can use it as navy mom jewelry also. One size fits all, because you can adjust its length. 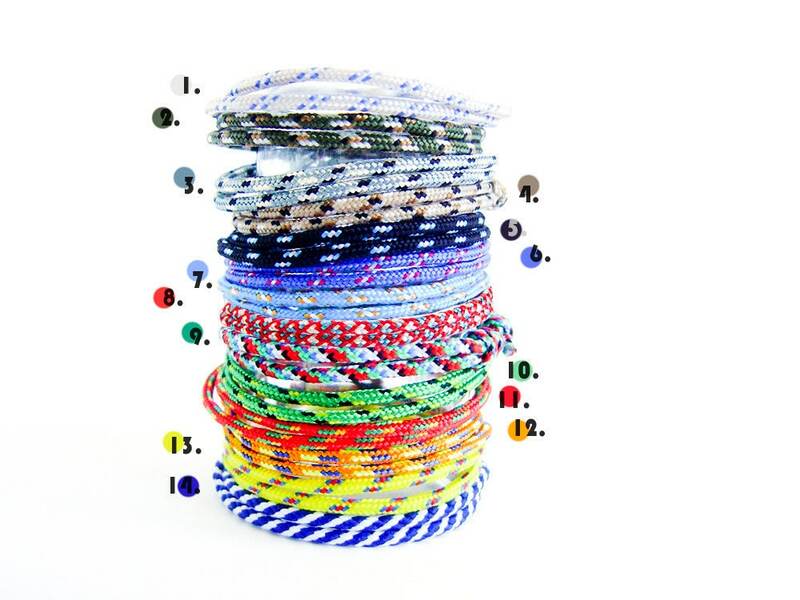 Find the best diameter for you, when you slide the knot. 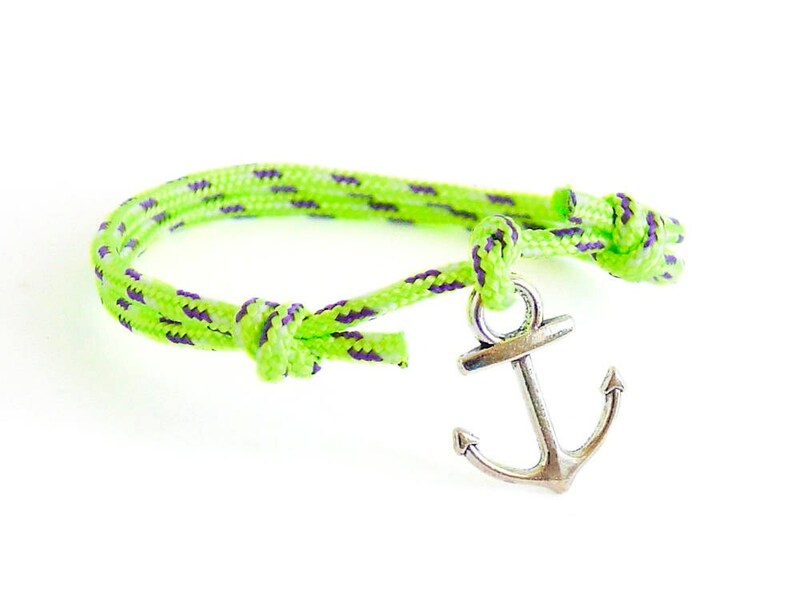 We designed this sailor knot bracelet of tiny climbing rope (diameter 2 mm (3/32")) and a nice metal anchor charm. 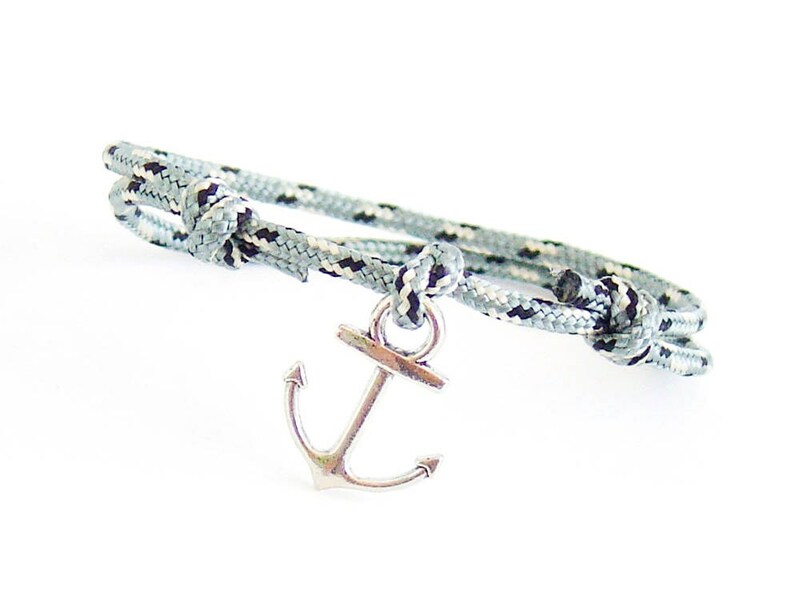 The mini metal anchor ornament is 1.9 cm long (3/4"), 1.5 cm (9/16") in the widest part. Min. 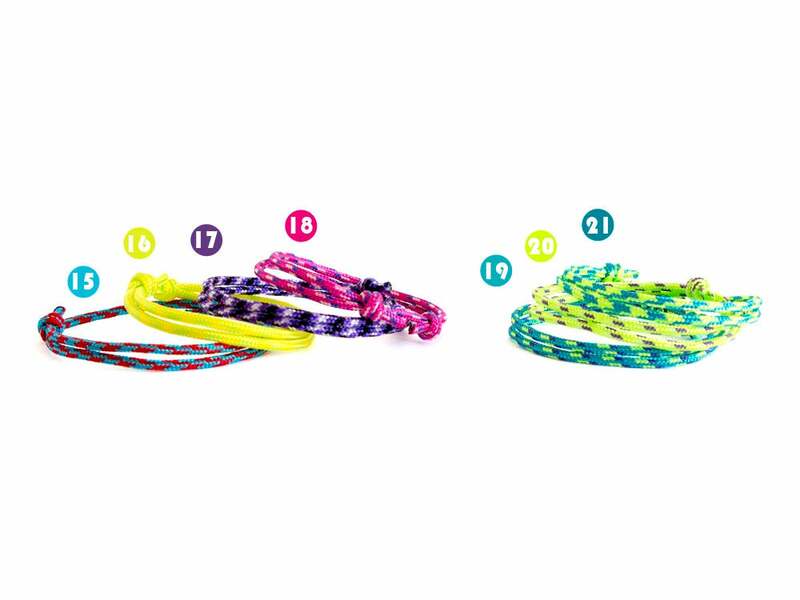 Circumference - 2 cm (4 3/4") - adjust it when you slide the knots. 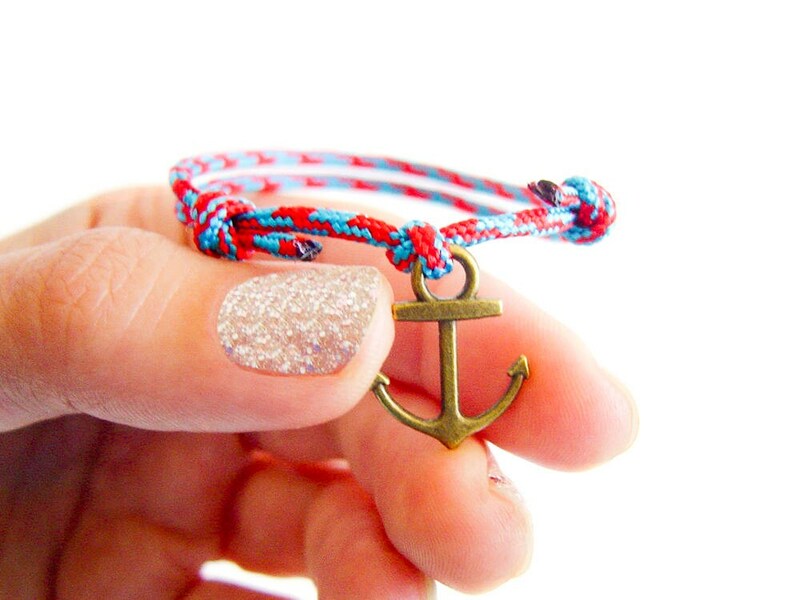 We handmade a special anchor necklace, corresponding to this sailor bracelet. They both fits perfect. 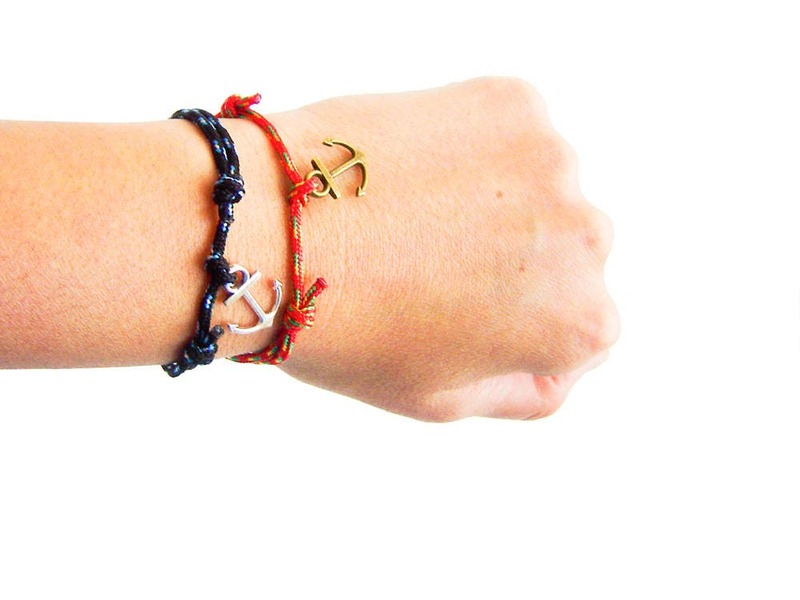 The set is the perfect one in sailor gifts. Best idea for everyone loving sailor outfit. 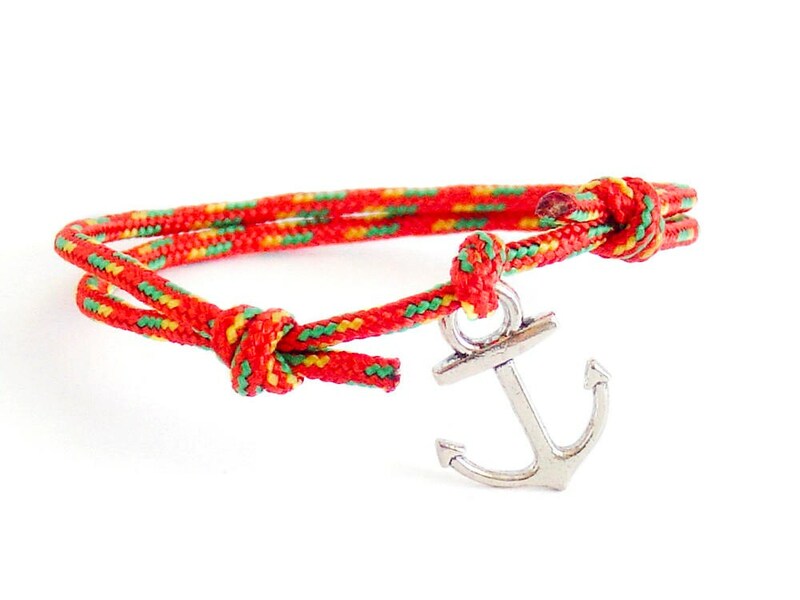 One size fits all- men and ladies.